ConferenceSeries invites all the participants across the globe to attend the 6th International Conference on Photonics during July 31- August 01, 2017 at Milan, Italy. ConferenceSeries Organizes 500+ International Conferences every year across USA, Europe & Asia with support from 1000+ more scientific societies and Publishes 400+ Open access journals which contains over 75000 eminent personalities, reputed scientists as Editorial Board members. Italy is a place for wide-scope of research in the field of photonics, including information technologies, Nanophotonics devices and biophotonics and it is also prior center of Photonics companies and Photonics Global Conferences. Photonics for Energy focuses on the investigation of light-matter interaction in a broad range of frequencies, from the visible to the THz. This interaction is enhanced by resonant structures such as nanowires and metallic photonic structures. Light harvesting enhanced by electromagnetic field resonances is one of the major contributions of photonics for solar energy conversion. Also strong-light matter coupling can generate new opportunities for tailoring material properties relevant for energy applications. Microwave photonics is an interdisciplinary area. that studies the interaction between microwave and. optical signals, for applications such as broadband wireless. access networks, sensor networks, radar, satellite communi- cations, instrumentation, and warfare systems. 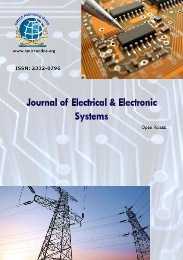 The opto-electronic systems makes the transmission and processing of microwave signals, while the development of high-capacity optical communication systems has required the use of microwave techniques in optical transmitters and receivers. Photonics is an emerging technology, comparable to semiconductor technology. Many functions in technical applications are currently realised by semiconductor products. The expectation is that photonic devices will partially replace existing semiconductor devices, but on top of that will also complement these in a qualitative way. The unique characteristics of photonic devices create an additional dimension like enlarged bandwidth, energy saving and larger communication distances. In addition, photonic devices are less sensitive to interference and have unique physical characteristics. Nanophotonics or Nano-optics is the study of the behavior of light on the nanometer scale, and of the interaction of nanometer-scale objects with light. It is a branch of optics, optical engineering, electrical engineering, and nanotechnology. It often (but not exclusively) involves metallic components, which can transport and focus light via surface plasmon polaritons. The term "nano-optics", just like the term "optics", usually concerns ultraviolet, visible, and near-infrared light (free-space wavelength around 300-1200 nanometers). Optical communication, also known as optical telecommunication, is communication at a distance using light to carry information. It can be performed visually or by using electronic devices. The earliest basic forms of optical communication date back several millennia, while the earliest electrical device created to do so was the photophone. An optical communication system uses a transmitter, which encodes a message into an optical signal, a channel, which carries the signal to its destination, and a receiver, which reproduces the message from the received optical signal. When electronic equipment is not employed the 'receiver' is a person visually observing and interpreting a signal, which may be either simple (such as the presence of a beacon fire) or complex (such as lights using color codes or flashed in a Morse code sequence). The term biophotonics denotes a combination of biology and photonics, with photonics being the science and technology of generation, manipulation, and detection of photons, quantum units of light. Photonics is related to electronics and photons. Photons play a central role in information technologies such as fiber optics the way electrons do in electronics. Biophotonics can also be described as the "development and application of optical techniques, particularly imaging, to the study of biological molecules, cells and tissue". One of the main benefits of using optical techniques which make up biophotonics is that they preserve the integrity of the biological cells being examined. Biophotonics has therefore become the established general term for all techniques that deal with the interaction between biological items and photons. This refers to emission, detection, absorption, reflection, modification, and creation of radiation from biomolecular, cells, tissues, organisms and biomaterials. Areas of application are life science, medicine, agriculture, and environmental science. Similar to the differentiation between "electric" and "electronics" a difference can be made between applications, which use light mainly to transfer energy via light (like Therapy or surgery) and applications which excite matter via light and transfer information back to the operator (like diagnostics). In most cases the term biophotonics is only referred to the second case. In optics, an image-forming optical system is a system capable of being used for imaging. The diameter of the aperture of the main objective is a common criterion for comparison among optical systems, such as large telescopes. The two traditional systems are mirror-systems (catoptrics) and lens-systems (dioptrics), although in the late twentieth century, optical fiber was introduced. Catoptrics and dioptrics have a focal point, while optical fiber transfers an image from one plane to another without an optical focus. Isaac Newton is reported to have designed what he called a catadioptrical phantasmagoria, which can be interpreted to mean an elaborate structure of both mirrors and lenses. Photonics Conference (ICP) invites all the participants across the globe to attend the 6th International Conference on Photonics during July 31-August 01, 2017 Milan, Italy. 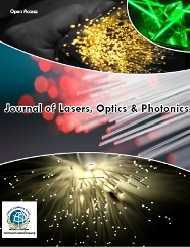 This 6th edition of Photonics will feature on different tracks covering both theoretical and practical aspects. Researchers, engineers and practitioners interested in any of these fields are welcome to join us in Milan and present their work on new methods or technologies, advanced prototypes, systems, tools and techniques. Photonics is the science of light (photon) generation, detection, and manipulation through emission, transmission, modulation, signal processing, switching, amplification, and detection/sensing. “Photonics is creating new knowledge” In the 20th century photonics research is creating a huge impact on the nation developing advanced technologies and using in different applications. In Italy the Photonics market is a fast-growing business sector, and over all global market of around € 350 billion, projected to reach over € 600 billion by 2020. The investments is very high because they have strong economy, available industrial space (for manufacturing units), excellent services industry and the most significant is strong financial environment. Photonics 2017 conference paves a platform to globalize the research by installing a dialogue between industries and academic organizations and knowledge transfer from research to industry. Photonics 2017 aims in proclaim knowledge and share new ideas amongst the professionals, industrialists and students from research areas of Photonics and all the related disciplines to share their research experiences and indulge in interactive discussions and special sessions at the event. The Italy region, with its strong economy, expanding network communications and increased investment in research and Development, offers investment opportunities to wide range of sectors. The most dominant sectors presently include logistics and transport, tourism, machinery, iron and steel, chemical and petrochemical, electronics, ceramics and construction materials, (non-metallic minerals), metallurgy, textile and footwear, printing industry, paper and plastics manufacturing. The Italy region’s industries and enterprises are dynamic, deep-rooted and used to competing with other national and multinational markets. Information technology (IT): With estimated revenues of EUR 0.7 billion Italy is the leading IT Photonics producer in Europe. Olivetti (100% Telecom Italia) produces laser printers, multifunctional printers (MFPs), digital copiers, and fax machines. Data-logic produces bar code scanners. The company, with revenues of about EUR 250 million, is estimated by market researchers to be the tenth largest company in the automatic data capture business, worldwide. Defence photonics: Finmechanica produces photonics based defence components and systems in Florence (Galileo Avionica) and near Rome (Selex Sistemi Integrati). Lighting: An Italian production volume of ~ EUR 0.5 billion for lamps (incl. accessories) has been estimated based on Eurostat data. Eurostat does not indicate any LED production. Medical technology & life science: The production volume is estimated at EUR 300 … 400 million. According to Eurostat the production volume of spectacle lenses / contact lenses accounts for EUR 150 million, and the production of ophthalmic instruments for EUR 70 million. El.En. produces medical laser systems and markets them worldwide through its consociates. Measurement & automated vision: The Italian production volume is estimated at EUR 300 … 400 million, including systems for automated vision, and other optical measurement systems for industrial use. Further, Eurostat indicates a small production volume of spectrometers. Optical components & systems: Italy produces optical components, fibre-based components, and classical optical systems (including equipment for processing of films, equipment for cinemas, and television cameras). Production technology: Laser machines and lasers are produced by Prima Industrie, Datalogic / Laservall, El.En., and about 30 smaller companies. The total production volume is estimated at EUR 200 … 250 million. Optical communications: Ericsson, due to the takeover of Marconi in 2005, produces optical networking systems in Italy. Today, the global market for photonics is estimated to be approximately €350 billion, and the leveraged impact of photonics in other enabled industries is substantially greater in terms of turnover and employment levels. This market is expected to grow significantly over the next few years, with the estimated market size approaching €480 billion by 2015. Europe performs a major proportion of the world’s research into basic photonics and achieves excellent R&D results, providing Europe with a world leading position. However, Europe needs to strengthen the industrial deployment of these research results by promoting wide-scale cooperation and greater integration across the whole research and innovation value chain. Therefore, it is necessary to rebalance the funding within the new Framework Programme Horizon 2020, so as to provide an increased budget of funding to applied research and demonstration programmes for photonics. Photonics is a very dynamic and vibrant European industrial sector. 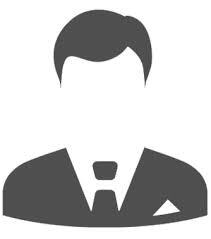 It has market leaders in core industry areas, established links with application industries, a highly diversified SME industry and a highly educated workforce.